Tokyo Disney Resort is often considered home to the best two Disney Parks in the world — Tokyo Disneyland and Tokyo DisneySea. Impeccable customer service, cleanliness, world-class entertainment, an endless stream of merchandise, and mouth-watering food are all reasons why it is one of my favourite places in the world. The painstaking attention to detail and my obsession with cute and delicious food keeps me walking through the turnstiles every chance I get. With over 2000 copies sold, this ebook travel guide is a must for any Explorer who wants to plan a stress-free trip. This current version is updated for 2019 and includes updated ride closures and events calendar for the next year! For many Explorers, traveling to Tokyo Disney Resort and Japan is intimidating. Explorers may feel it is a difficult — or even impossible — place to visit. The Parks are busy, have unfamiliar food, and then there’s that language barrier. Tokyo Disney Resort and its two Parks have so much to offer that it’s easy to miss out on a lot of it during your visit. 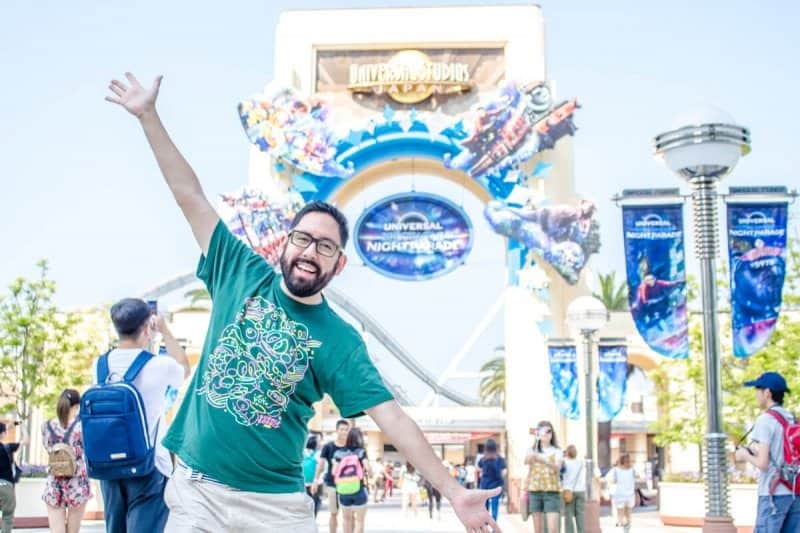 I have visited Tokyo Disney Resort for years and have gained extensive knowledge on how to enjoy the Parks to their fullest — from the best spots for parades, where to get the most delicious snacks, and how to deal with the crowds. My guide gives you the confidence to go from knowing nothing about the Parks to navigating them as if you’ve been visiting for years. My name is Chris — aka TDR Explorer — and I began visiting Tokyo Disney Resort back in 2010. Since then I have visited the Parks countless times. I made the jump to live in Tokyo in 2013 and have visited Tokyo Disneyland and Tokyo DisneySea on a regular basis. I’ll teach you the ins and outs of the Resort, give you tips based off years of experience (and knowledge of Japanese culture), share with you the most delicious places to eat and the best attractions and shows, and give you advice on how to plan your trip from start to finish, all while saving money. This guide is meant for anyone who wants to maximize their time while at Tokyo Disney Resort. Whether it’s your first trip or thirty-third, you’ll learn ways to use your time effectively. A history of Tokyo Disney Resort – How the first overseas Disney Park came to fruition is fascinating and helps you appreciate the Parks even more. 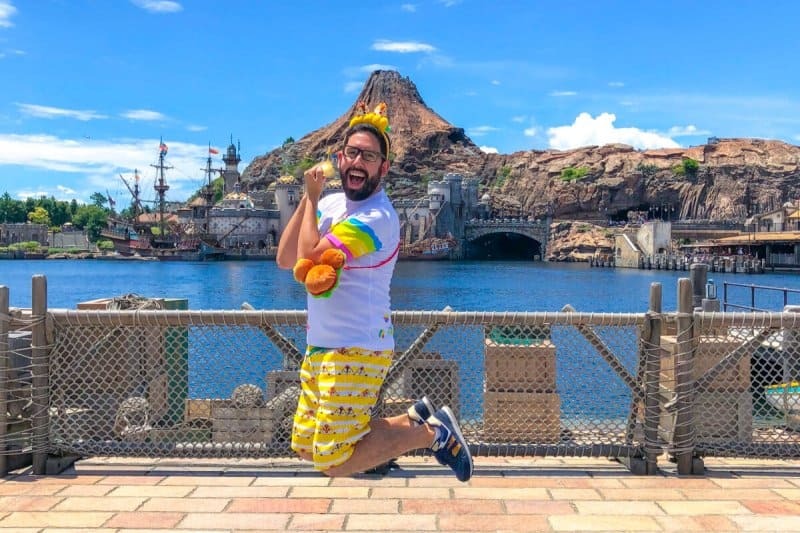 Both Parks explained – A list of all the attractions, restaurants, and entertainment at both Tokyo Disneyland and Tokyo DisneySea. Hotel recommendations – No matter your budget, I have recommendations for hotels ranging from the high-end Disney Hotels to the budget no-frills accommodations and everything in between. Custom Park maps – Professionally crafted custom Park maps and a transportation map. Merchandise explained – Where to buy all that cute merchandise that you see on Instagram. Transportation – A thorough explanation of how to use transportation in Japan and how to get to Tokyo Disney Resort from the airport. Multi-day itineraries – Recommended itineraries for up to four days. Food recommendations – I love to eat and I want your culinary experience to be memorable. From my recommended snacks to my favourite restaurants, you’ll never be left hungry. Practical information – Tips and advice for both Japan and Tokyo Disney Resort, because things do go wrong sometimes. Japanese phrases – Easy-to-learn phrases that are relevant to your time at Tokyo Disney Resort and throughout Japan. Learn how to ask for the front row! I’m obsessed with writing on how to plan trips to theme parks and other destinations within Asia. Chances are if you’re visiting Japan, you’ll want to see other parts of the country (you really should). Once you’re done at Tokyo Disney Resort, head on over to the Kansai area (middle of Japan) and experience Universal Studios Japan, Osaka, Kyoto, and many other wonderful places. 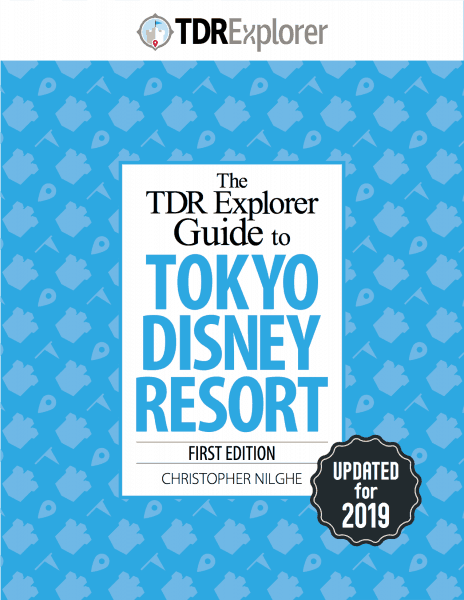 Plan the next portion of your trip to Japan with the “TDR Explorer Guide to Universal Studios Japan.” It’s filled to the brim with excellent tips and advice for not only Universal Studios Japan but Osaka and Kyoto, too. Get both our e-book travel guides to Tokyo Disney Resort & Universal Studios Japan as a bundle and save yourself $4 USD (20% off). You’ll be unstoppable at the Parks! The current edition was updated on December 21, 2018. However, we’ll occasionally give free updates for the current edition (First Edition) to make corrections and minor updates (make sure to sign up on our mailing list at checkout to get these updates). Tokyo Disney Resort changes on a monthly basis, so there’s a lot to cover. While our website offers an endless amount of information about Tokyo Disney Resort. It doesn’t offer food recommendations for every restaurant, multi-day itineraries, suggested budgets, custom Park maps, and easy-to-digest explanations on important aspects of the Resort. The website also doesn’t have general information for travel to Japan that every traveler needs to know (visa, Japanese toilets, earthquakes, etc). There’s so much information in this guide that it wouldn’t fit in multiple blog posts. I wanted to keep this guidebook as portable as possible while being jam-packed with information. For that reason, I decided not to include photos. This allows us to keep the file size down so you’re able to have it on any device without worrying about space. If you’re looking for photos, I post our best ones on Instagram. However, I wanted to make sure you were able to find your way around Tokyo and the Parks as easily as possible. That’s why you’ll find professionally created, custom maps to help you visualize the Parks and to simplify transportation. What makes you an expert on Disney Parks in Asia? I’ve been living in Japan for over five years and have visited Tokyo Disney Resort since 2010. I have over 101 visits under my belt and love learning new ways to maximize my time at the Parks. Anything I recommend in the guidebook are my personal favourites, and I stand by them.